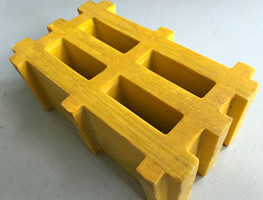 Zaoqiang Dacheng Fiberglass Co., Ltd. mainly manufacture two kinds of FRP/GRP gratings: molded FRP gratings and pultruded FRP gratings. And they both have their own advantages, which depends on different applications. Molded FRP gratings are cheaper than pultruded FRP gratings. 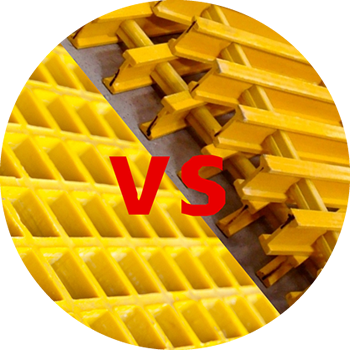 Molded FRP gratings are much more corrosion resistant than pultruded FRP gratings. Pultruded FRP gratings have 65% glass and 35% resin, and molded FRP gratings have 35% glass and 65% resin. 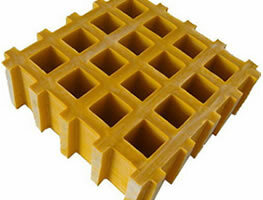 Pultruded FRP gratings have high loading capacity than molded FRP gratings. And now, our FRP gratings are replacing the materials like wood, plastic, and steel. 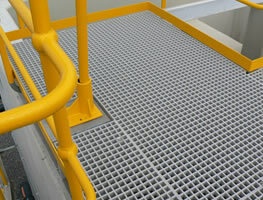 FRP gratings are corrosion resistant to chemical materials and the anti-slip surfaces can ensure the safety of workers. 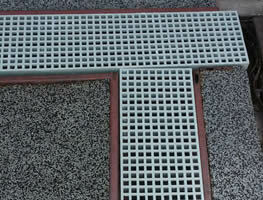 Pultruded FRP gratings have high loading capacity, and the resin system ensure they are anti-rust. The ergonomic design can ease the strain of workers' backs, feet and legs, and increase their comfort and work efficiency. 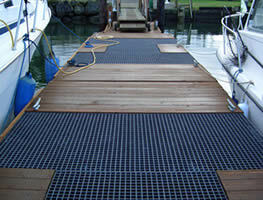 FRP gratings have light weights, which can reduce the deck weights and increase the loading capacity. Pultruded FRP gratings have high loading capacity. 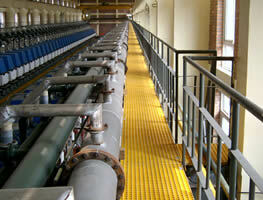 Steel gratings have about half the load capacity of pultruded FRP gratings. Pultruded FRP gratings have light weights. 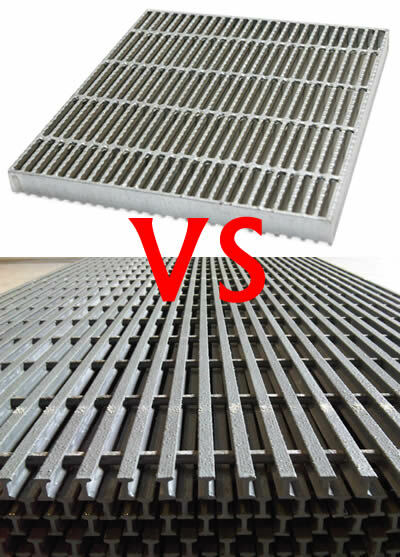 Cumbersome steel gratings are three times heavier than pultruded FRP gratings. Pultruded FRP gratings won't permanently deform. 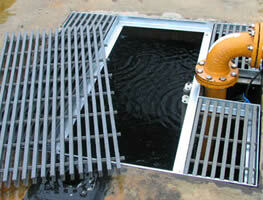 Steel gratings would get permanent surface damage due to over-loading. Pultruded FRP gratings are highly corrosion resistant. Steel gratings need painting and galvanizing to anti acid and anti alkali. As you can see, our FRP gratings have so many shinning points, and they can be applied to everywhere to satisfy your requests. Do not hesitate anymore. If you have any queries, please do not hesitate to email us directly at sales@frpgrating.org. We are looking forward to answering your questions. FRP gratings are environment friendly with safe and nontoxic materials, and they are corrosion resistant for applications like platforms and walkways. High load capacity grating are specially made to carry forklift loads which are extremely heavy, and it’s also lightweight, corrosion resistant. Using FRP gratings for operating platforms can relieve the pressures on employees' backs, feet and legs, and increase working efficiency. FRP grating trench covers have a wide range of applications due to its corrosion resistance and slight elasticity features. 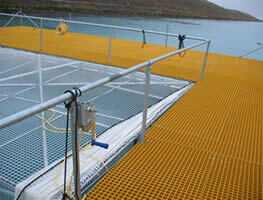 There are some using tips, fabrication and installation directions about FRP gratings.